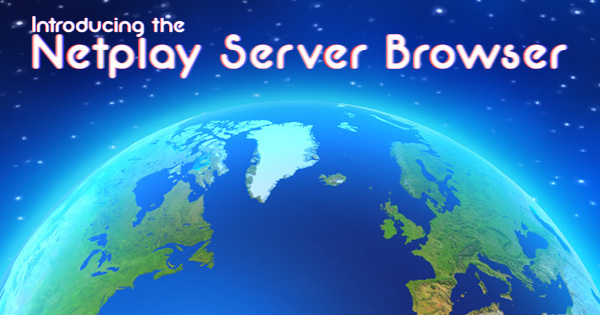 A new short article has been published on the Dolphin blog - Introducing the Netplay Server Browser. You guys are on a roll with the reports, awesome! Edit: One question though, in the video and the article it is stated that there is a latency penalty for the 'non-golfer', I presume this is compared to p2p and should be the same as normal host input authority mode. Is that correct? And Dolphin keeps on rolling this month. Awesome! Another stellar addition for the master emulator! Amazing. 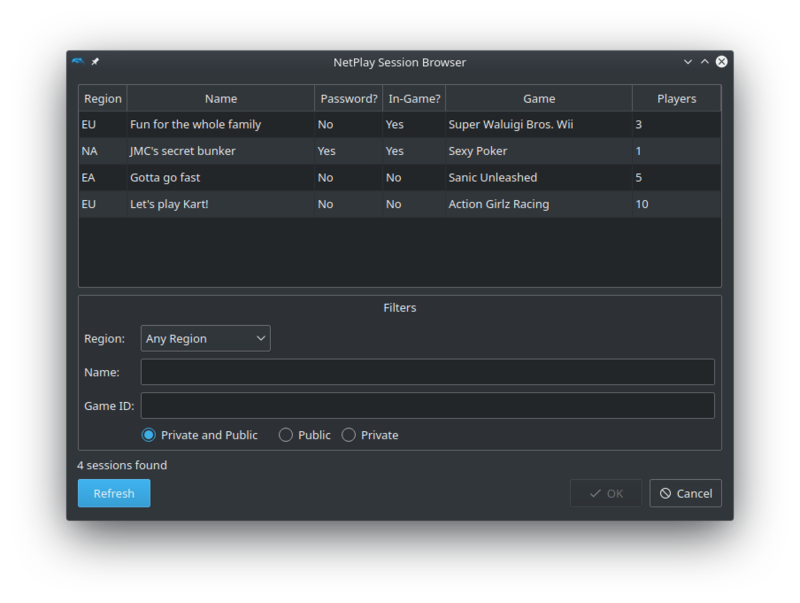 It would be coll if you could host a netplay session directly from netplay server browser too. Anyone want to play with me? I got Mario Kart Double Dash and Super Smash Bros Melee to test it! While I've never tried it, from what it sounds like AQZ netplay plugin's "Golf Mode" automatically switches to low-latency mode for whenever a player presses a button on their controller. I love this update so much. But i got 1 question. Is there a list of the all the games that works with netplay without having "dual core" disabled? Hint: alt+shift+f12 to disable shadows, so KDE Screenshot doesn't capture a large border around the image. In the video and the article it is stated that there is a latency penalty for the 'non-golfer', I presume this is compared to p2p and should be the same as normal host input authority mode. Is that correct? Depends. When non-host is golfer, the penalty is 2x Host Input Authority mode.